Cavity: the word you never want to hear your dentist say, right? In fact, the pursuit to avoid cavities was probably what motivated you to actually brush and floss as a young child. Contrary to popular belief, cavities are not just for kids. Adults are vulnerable to tooth decay too. Research shows that roughly 90% of North Americans will get at least one cavity in their lifetime. 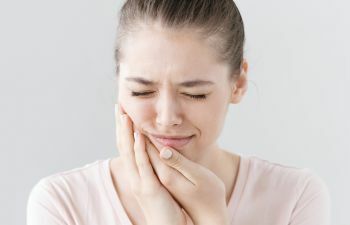 Catching a cavity at its earliest stages, just like any other dental health problem, can mean more effective and more conservative treatment. If you skip your routine dental appointment, you’ve put yourself at a much greater risk of letting tooth decay go undetected. What once could be treated with a simple composite resin filling, may now require a crown or root canal therapy. If you are experiencing any of the above cavity symptoms, please call our office as soon as possible. At Mitzi Morris, DMD, we detect and treat cavities at their earliest possible stages. Remember that if you already suffering from tooth decay symptoms, no amount of brushing and flossing can eradicate the decay. At this point, you need professional dental treatment to save your smile.